It was 20 years ago this month. 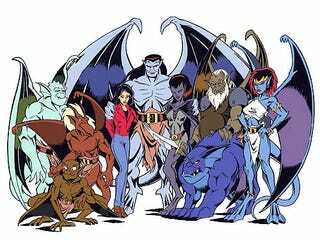 One of my favorite cartoons premiered twenty years ago: GARGOYLES. I will let you explore the wiki on your own. But the thing that made the show awesome was picking out all the voices done by so many actors from Star Trek. Highly recommended if you haven't seen it.